JH Jewelry is one of the Largest Imitation Jewelry Company of India and It has more than 200 Wholesale and 5000+ Customers. It's First Showroom at Surat,Gujarat since 2001. We, at JH Jewelry Offer the best and latest Jewellery Collection like: Dazzling Rings, Elegant key Chains, Beautifully Designed Bracelets, Bangles, Tribal and Traditional Collection of Necklace Sets, Pendant Sets, Earrings, Armlets etc. 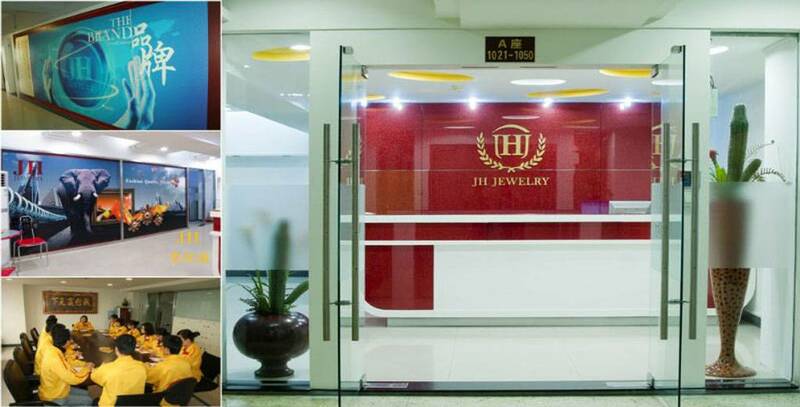 Radhe Fashion Jewelry is also Authorized Partner of JIN HUI (JH) Jewelry,China and CEIDAI Jewelry cn.